SIGNiX will demonstrate their digital signature solution at the 2016 EXPO Chattanooga. I’m really looking forward to demonstrating our product for other EXPO attendees who are excited about the rapid growth of local tech companies, like ours. SIGNiX, the leading provider of Independent E-Signatures™, announced today that they will attend the 2016 EXPO Chattanooga on March 23 from 10 a.m. to 4 p.m. Founded and headquartered in Chattanooga, SIGNiX is proud to be one of the first nationally recognized technology companies to call the “Gig City” its home. EXPO Chattanooga, hosted by the Chattanooga Chamber of Commerce, is the largest showcase of local products and services and draws hundreds of key business decision-makers and community leaders. EXPO Chattanooga is free and open to the public. SIGNiX will be in booth 426 at the Chattanooga Convention Center during the EXPO next Wednesday to demonstrate their digital signature solution and to attract local clients and talent. Director of Business Development, Brian Felker, will be attending the EXPO to connect with other local professionals. In addition to networking and job opportunities, SIGNiX will be having a drawing for a $50 gift card to FEED Table & Tavern, a favorite local restaurant. To be entered in the drawing, stop by the SIGNiX booth and leave your business card or contact information. SIGNiX is locally owned and headquartered in Warehouse Row, in the heart of the Innovation District. Their digital signature technology offers sought-after security features that ensure the permanence and legality of electronically signed documents. 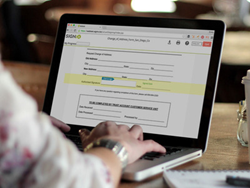 SIGNiX, the most trusted name in Independent E-Signatures™, makes signing documents online safe and secure with comprehensive legal evidence permanently embedded in each document to eliminate any dependence upon SIGNiX. The company’s cloud-based service uses patented technology to give businesses and organizations the most secure and legally defensible e-signatures available at a fraction of the cost of wet ink signatures. SIGNiX’s products help the world’s leading companies become more efficient, decrease risk and boost profits. For more information, visit http://www.signix.com. You can also follow SIGNiX on Twitter @signixsolutions, LinkedIn, Facebook and Instagram. Hosted by the Chattanooga Chamber, EXPO Chattanooga is the largest showcase of local products and services and draws hundreds of key business decision-makers and community leaders. EXPO Chattanooga is a great way to make new business connections and maintain your ties with current business partners. Attendance is free and open to the public.